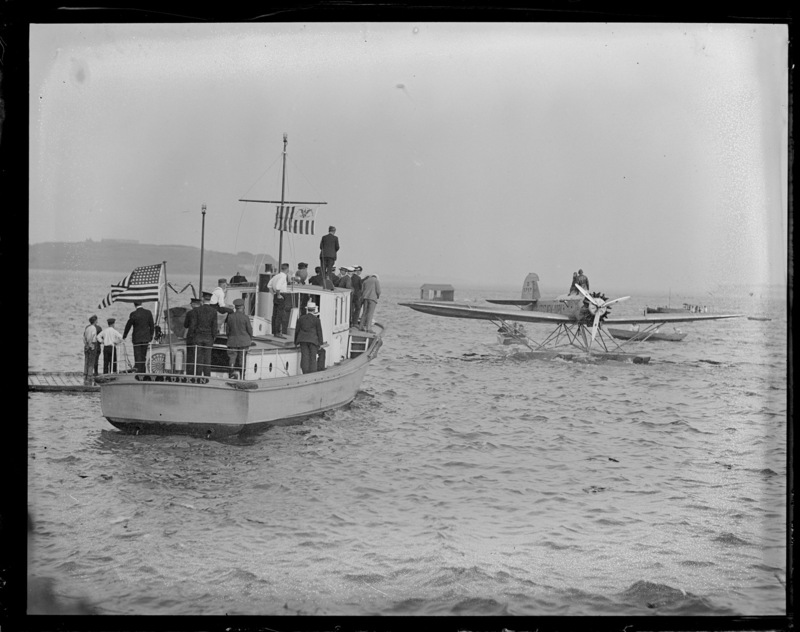 First mail by water plane lands in Boston Harbor, 1928. Radio operator Marcel Mourion of the Ilede France seaplane, which landed here yesterday afternoon, is about to disembark with two of the mail pouches. The craft reached Boston inner harbor 10 hours after leaving the liner. Left liner 300 miles off Nova Scotia. 36 hours saved here on delivery.